A double bed base of enhanced comfort. A double flexible bed base-sofa. Can be installed into a bed or used as an independent construction for sleeping. Latoflexes used: width 38 mm, set into slat holders LDT 2.38-3 with 3 degrees of freedom. The material of the leg is MDF. The product could be equipped with stiffness regulators and additional lamellae for individual adjusting. 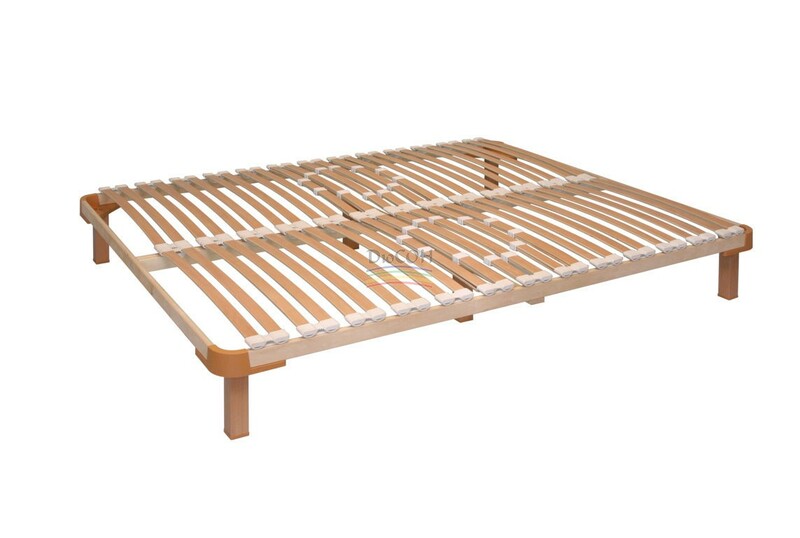 The standard height of a flexible bed base (from the bottom to upper surface of slat holder) – 245 mm. The required height is to be discussed with a customer. It is recommended to use with latex mattresses or with mattresses of similar characteristics and thickness up to 150 mm. Опоры Есть, 165 мм, 5 шт.